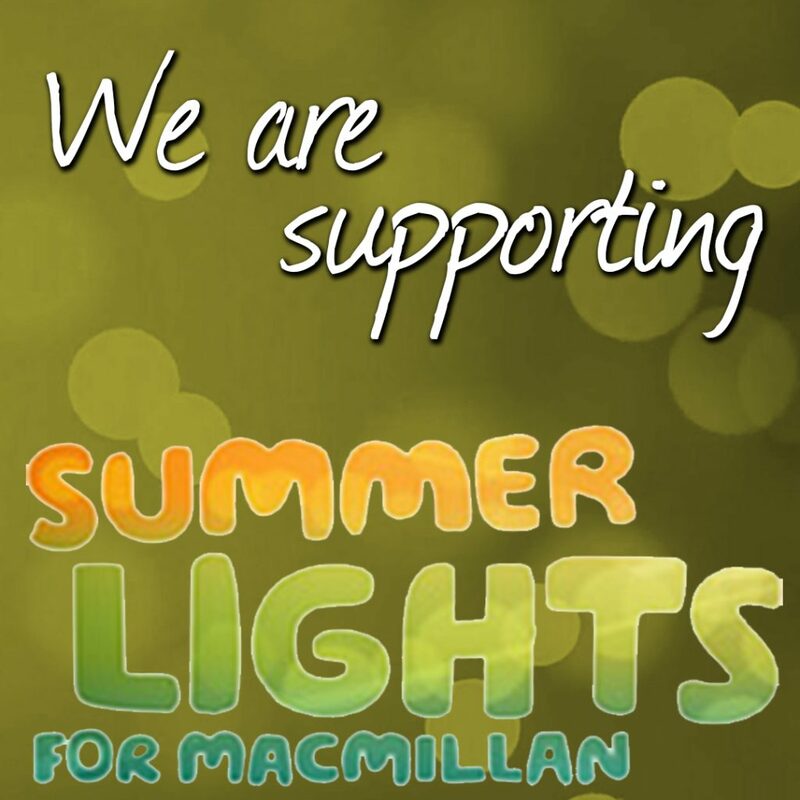 We’re supporting Summer Lights for Macmillan! We at Gardens and Homes Direct are proud to announce our support for Macmillan Cancer Support this weekend as they launch their brand new annual event, Summer Lights for Macmillan. Summer Lights for Macmillan is an opportunity for you to show your appreciation for the people that bring such light into your life. 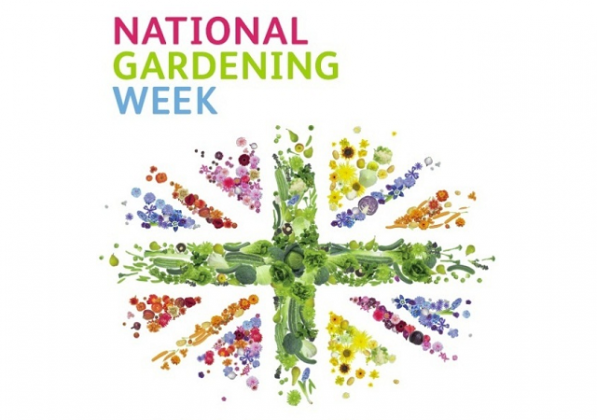 Since its launch four years ago by the RHS, the annual National Gardening Week has now blossomed into the country’s premier gardening celebration. So, for National Gardening Week 2015 (13th – 19th April), here are a few ways in which you can get your green fingers involved. 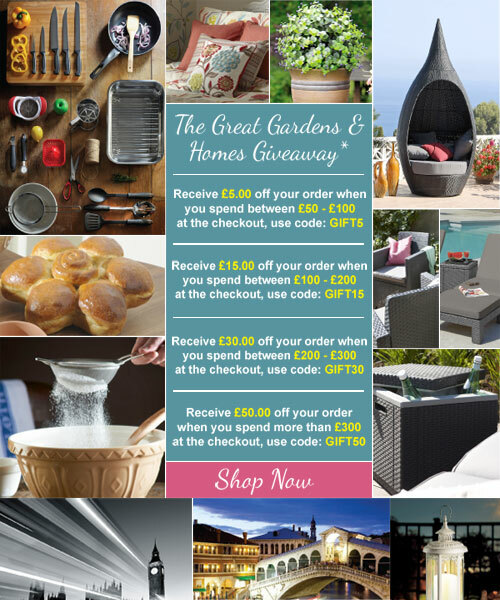 The great Gardens & Homes giveaway is our very special way of helping you save money. Until midnight, Sunday 8th March 2015, we’re giving you the opportunity to save between £5.00 – £50.00 off your new order. Whether you’re looking to splash out on some new all weather garden furniture, or you’re desperately searching for the perfect Mother’s Day gift, you can money on what you want and as many times as you want. Bobo Buddies, the original all in one blanket backpack, are coming to Gardens and Homes Direct. 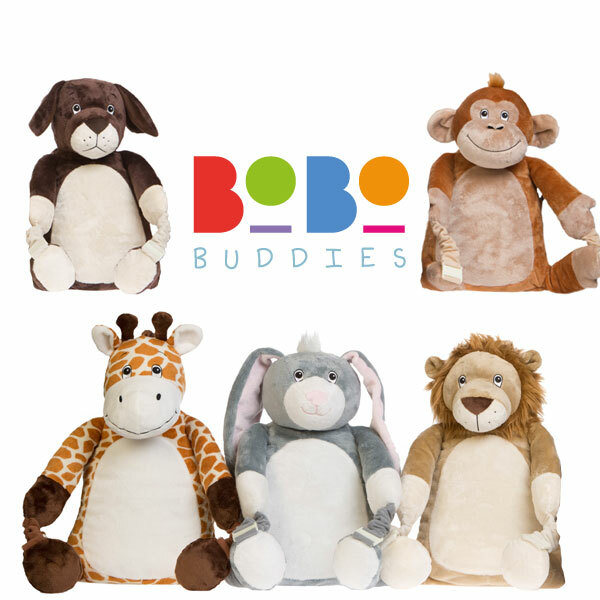 Well, we’re extremely excited to welcome Bobo Buddies as part of our new, wider collection for 2015. Cosy, colourful and delightfully named, Bobo Buddies are a series of animals that are available to buy as Bobo blankies, blanket backpacks and toddler backpacks with reins. These soft, cuddly toys are perfect for your little ones and will certainly last for years to come. Gardens and Homes is changing . . .
To celebrate our 10th birthday, we’re extremely excited to announce the relaunch of our website, Gardens and Homes Direct. Stylish, sleek and shiny, we’re also pleased to reveal a revitalised colour scheme, logo and layout. You’re now guaranteed to be greeted with improved functionality, a simplified checkout process, as well as a brand new mobile site. In addition to these features, we’ve also introduced customer reviews, so you can now have your say on how much you love our products! 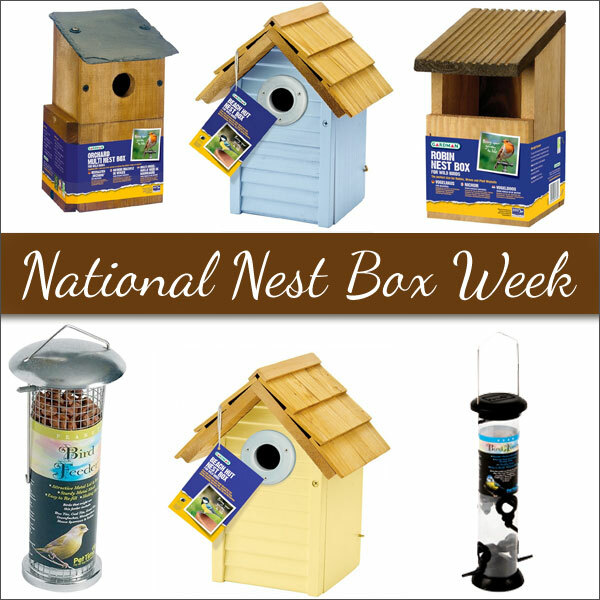 It’s no coincidence that the start of the 18th National Nest Box Week (14th – 21st February) coincides with the national day of love, Valentine’s Day. Well, traditionally February is the start of the new breeding season for birds, so making a love den for our feathered friends has never been more important, especially with the recent decline of many national nesting places. The winner of our reflect on 2014 competition is . . .
We’ve simply been overwhelmed with the number of responses we have received for our first competition of 2015. 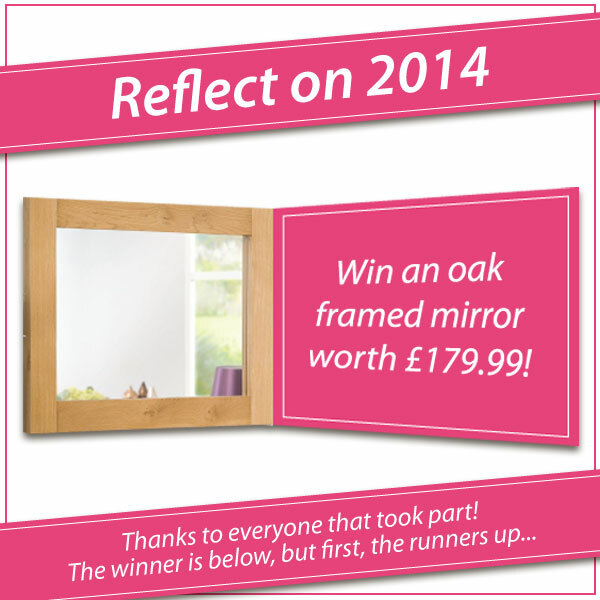 We initially decided to select just one lucky winner for the Stirling oak framed mirror prize. Well, after spending several days sifting through our inbox, we managed to whittle it down to our 10 favourite responses. It’s been a rather difficult task. Alongside our main prize winner, we’re also delighted to announce that the 9 runners up will receive a 10% voucher to spend on Gardens and Homes Direct or Christmas Trees and Lights, our festive website. Firstly, we’d like to apologise for our rather lengthy hiatus, we’ve been rather busy with our sister website, Christmas Trees and Lights. However, it’s now 2015 and we’re back. Having recently endured the unpleasant experience of visiting a gym in January, we wondered if it was possible to get the same level of workout by completing some simple home and garden tasks. Well, not only is it the perfect way to workout and get some of those jobs done, we discovered it’s rather relaxing too. For most Lancastrians, the words Bank Holiday Weekend and ‘Washout’ have become an all too familiar sound over the last few years. So, it’s little surprise that this weekend is likely to be much of the same, albeit with a few bright spells to act as a glimmer of hope. Well, at least it’s consistent. The weather may have already waterlogged your Bank Holiday plans, but never fear as we’ve got a bucket full of alternative ideas . . . Go on, have a butchers! With the days long and the sun beating down on your garden, now is the perfect time to really enjoy the fruits of your labour. Nevertheless, there are still a few more important tasks that you’ll need to plough on with during the month of July. For the most part, they’re extremely less arduous and much more pleasurable than those early season workouts, yet they still need to be completed in order achieve that perfect garden. Rather fortunately, you’ll already be doing a lot of these tasks subconsciously, but it’s always great to be reminded what’s best for your garden during peak summer . . .